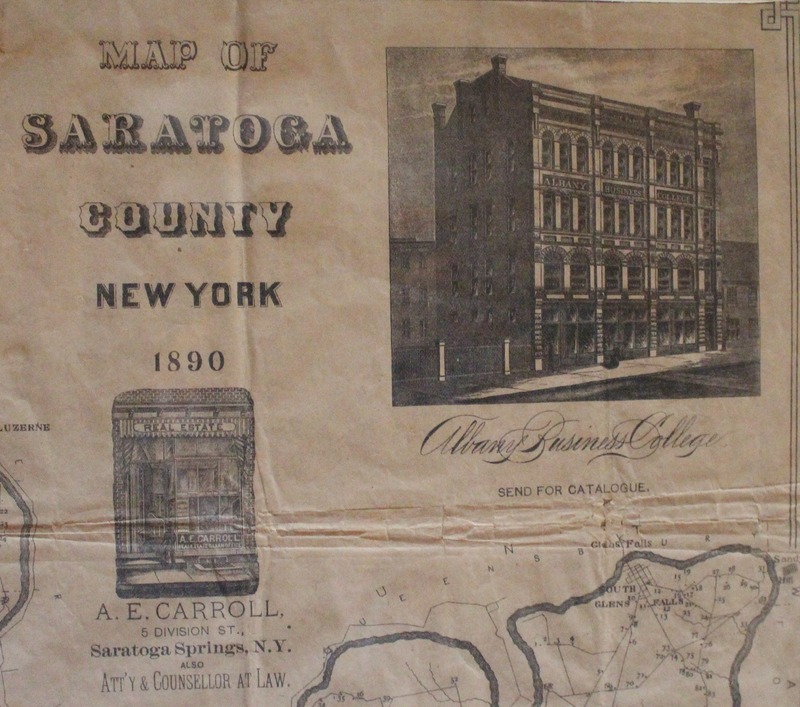 Farmers' pocket directory and map of Saratoga County, N.Y., 1890: including the names of subscribers and advertisers. 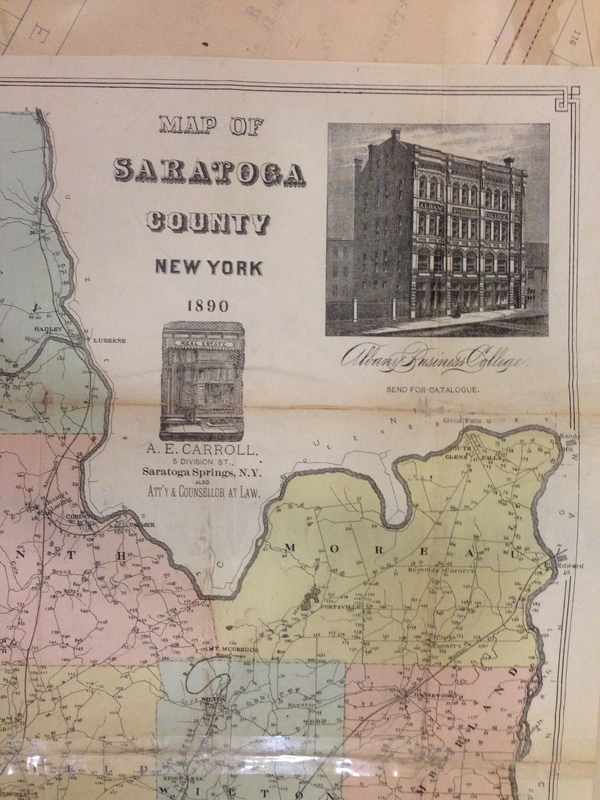 This map is a detail of the upper right corner of a county map of Saratoga. as it was is 1890. It does not focus on specific properties, but rather places cities and It depicts the roads and train routes that run through the county. Numbers refer to the farmers listed in the directory of which the map was originally a part. Advertisers include the Albany Business College and A.E. Carroll Real Estate and Loan Office at 5 Division St., Saratoga Springs, N.Y., and Att'y & Counselor at Law"
Saratoga County (N.Y.) -- Directories. 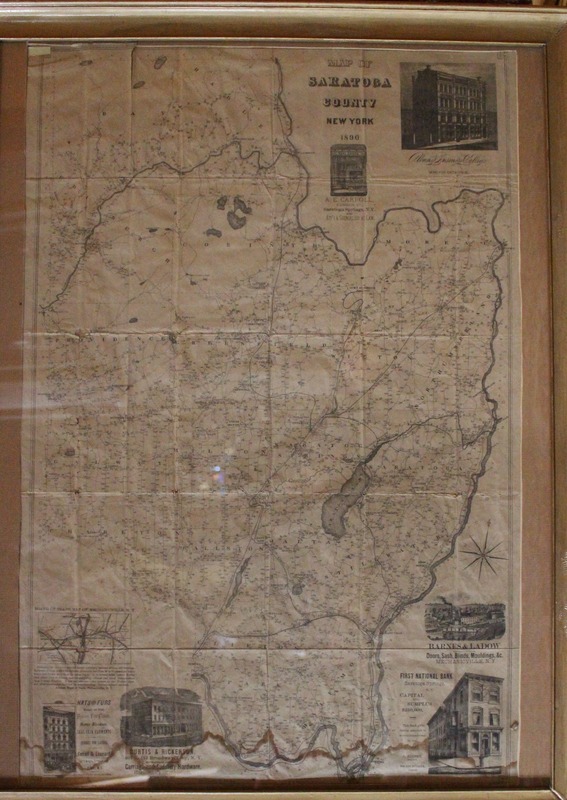 Saratoga County (N.Y.) -- Maps. Saratoga County (N.Y.) -- Agriculture. New York (State) -- Saratoga County. 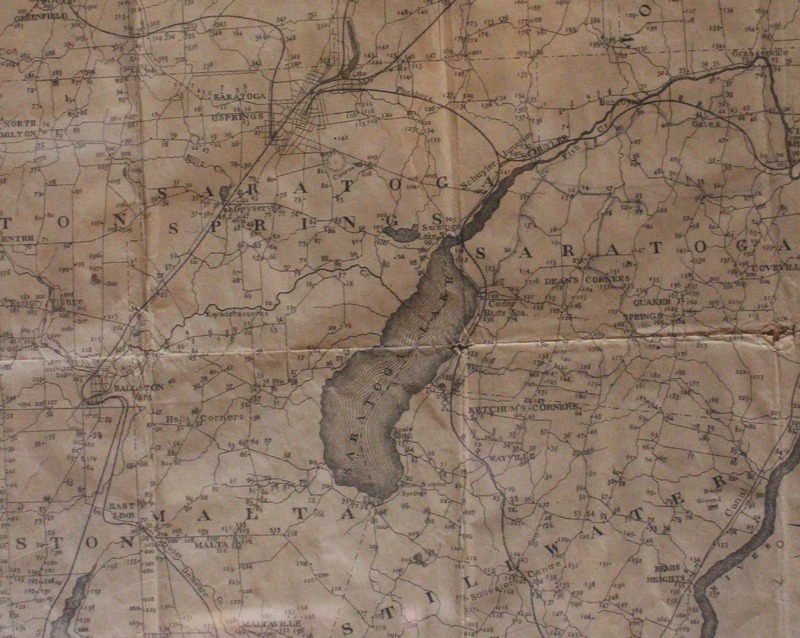 Burr, David, “Map of Saratoga County New York 1890,” Skidmore Saratoga Memory Project, accessed April 24, 2019, http://ssmp.skidmore.edu/document/24.